Revolution Day is a Mexican public holiday that commemorates the beginning of the Mexican Revolution in 1910. The revolution began on November 20, but the celebration is held on the third Monday of November. In 1876, Porfirio Díaz seized power in Mexico. He was formally elected president in 1877. Díaz ruled the country for over three decades. Although he was an early liberal, Díaz eventually turned into a dictator. His era is commonly referred to as the Porfiriato. In 1910, Fransisco I. Madero announced his candidacy for President of Mexico. To ensure Madero did not win the election, Díaz had him arrested. However, Madero escaped from prison and issued the Plan of San Luis Potosí, asking the Mexican people to rise up against the regime on November 20, 1910. This day is regarded as the first day of the Mexican revolution, that lasted for a decade. 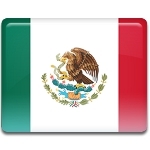 Mexican Revolution Day is one of the five Fiestas Patrias, patriotic public holidays in Mexico. It was originally celebrated on November 20. Since 2006, it has been observed on the first Monday of November. On this day, government offices, schools, banks, and many businesses are closed. The holiday is marked with flag hoisting ceremonies, speeches, parades, festivals, open-air concerts, outdoor parties, and other festive events.